12,000 odd LED's are expected for Lambeth to replace existing lighting beginning in September according to a document on the internet - work is expected to start in September. I hope my road keep its decent looking lights (wish I knew the name). If I remember correctly I think they happened closer to around 2000, perhaps even slightly after with some examples. I remember the concrete lamp posts still existing in its originalty on the high street along Worcester Park and into North Cheam as late as 2003/4. Ah yes, your right. You've jogged my memory and they were still up probably even later than 2005. I'm guessing those ones you mentioned were replaced directly by the council rather than the PFI which would of certainly been earlier as columns with the curved arm tops haven't been installed as brand new since around 2000. I saw some on today on my bus journey along with some Philips MA's 'dayburning' on The Roundway. Haringey - A significant section of The Roundway, Westbury Avenue, Boreham Road and a large part of White Hart Lane still have a good solid number of Philips MA60's with a number on The Roundway day-burning brightly. Also on the Roundway is just one Eleco GR150 by the traffic lights and a Thorn Alpha 4 around the corner on Lordship Lane. 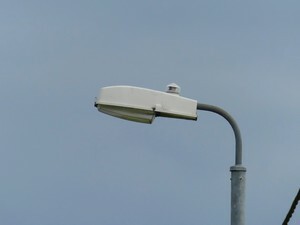 Furthermore, some Philips MA60's still exist on Watermead Way despite part of the road receiving LED's. Moving over to the western part of the borough, there are a lot of ancient, decorative columns around the Muswell Hill area (good splash of paint would sort them out) & Church Road off Archway Road has some old, rusting columns with Eleco GR150. Definitely, an interesting borough for older lighting despite the many Urbis type lights that have gone up over the last decade. Enfield - The PFI contract in the mid to late 00's swept away much of it's lovely street lighting but there are surprisingly a large number of Thorn Alpha 8's that managed to survive the cull and can be found on Baird Road, Crown Road, Turkey Street, Bullsmoor Lane, Nags Head Road, Lea Valley Road, Slades Hill, Bramley Road, Brookhill Road (by the roundabout only), Hedge Lane, Aldermans Hill & Station Road (New Southgate). There are also 3 Philips Philips MA60's still left in Enfield, all next to the Great Cambridge Road - one is at the Enfield Retail Park junction and two at the Bury Street junction. All three still work as well. Staying with the Great Cambridge Road, there is also one or two GEC Z9554's light at the Bullsmoor Lane junction and the Philips Trafficvision SGS306's that were installed around the year 2000 have mostly all disappeared apart from a few strays at junctions - the LED plague got to those using Thorn R2L2's. The rest of the borough is full of WRTL Industria Arcs which have proved very popular with a few London borough's. Barnet - one of the less interesting boroughs. Like Enfield, it had a PFI contract in the mid to late 00's which swept away lots of older lighting. The oldest commonly found lights left now are Urbis ZX1's on some side roads, Urbis ZX2's on Ballards Lane & High Road, a few GEC Z8600 series lights on High Road at the junction with the North Circular Road & Philips SGS203's on Brookhill Road, Brunswick Park Road & some rogue examples on High Road and Totteridge Lane. There are a few old lights left however - a couple of Thorn Alpha 8's with white bulbs at East Finchley Station along with two very tall columns with Phosco P178's lights on top. Lastly, there are some Philips MA60's & GEC Z9554's on the North Circular at the junction with High Road. Like Enfield, it is swamped with WRTL Industria Arcs. Brent - one of the few inner London borough's who don't seem to be interested in updating their street lights most probably as they seem to have been updated around 10-15 years ago. Philips Trafficvision SGS306's & Philips SGS203's rule the main roads though there are still three Thorn Alpha 8's along Willesden High Road. The side roads are usually GEC Z8830's on hockey stick columns so not much variety here. The only other older lights are a few Philips MA60's at the Stonebridge Park junction of the North Circular. Lastly, there is a super rare light at Willesden Bus Garage which I snapped on the open day - a Thorn Alpha 1! - I really hope this doesn't get replaced as Thorn Alpha 1's in the UK are a endangered species. I may give a write up on other borough's within London in the near future. Ah yes, there's a quite a few concrete columns along there with Thorn Alpha 8 lights. Judging by the black columns alongside, all the lights are in process of being replaced by new streetlights. Hertfordshire & Essex are two counties where replacing their lights isn't such a big priority, especially Essex who cancelled their PFI contract a few years ago and seemingly are willing to stay as they are. They have plenty of concrete columns in Clacton & Southend still with a range of lights. Cheshunt is still a relative stronghold for concrete standards e.g. Goffs Lane and Windmill Lane for main road examples, Hawthorne Avenue for side street ones. Also omitted to mention they still exist in buckets in Hoddesdon, the majority of side streets built pre-1970 seem to have them. Must be a Broxbourne Council thing. It seems to be a pot pourri of types on many secondary roads and residential streets, the further north in the borough you get. Even some original metal swan necks in St. Margarets. I often wondered why concrete lamp posts came about from the late 50s/early 60s. Was this because there was a shortage of materials from the end of the war? I ask this because the bus section of Stockwell garage is a concrete foundation as there was a shortage of steel at the time and that building was built in the 50s... around the same time that Streatham High street area gained concrete lamp posts. USA's lamppost history differs in that they have more or less used the same materials throughout the same periods in time. Sadly, I don't know the answer to that but apparently, the first concrete lampposts were built in the 30's and the last ones were, shockingly, built in the mid 1990's. At first, I was a bit dubious about that but then I remembered watching a YouTube video about the Brixton riots in the 80's and noticing that Railton Road had steel columns with what looks GEC 'Turtle' lights, yet when I was growing up, it had concrete columns, first with Philips MA60's and then Urbis ZX3's until 2005. Also, the surrounding roads off Railton Road had REVO ex gas lighting columns but yet, when I was growing up, they had concrete columns so I began to trust that information.